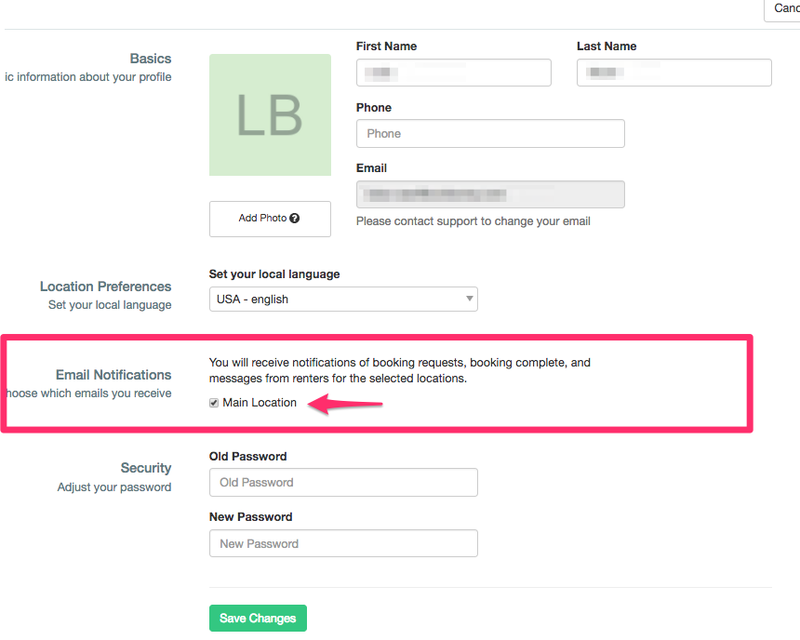 Every Wheelbase user can receive notifications of booking requests, booking complete, and messages from renters, for the selected locations. Follow the steps below to turn email notifications on or off for your profile! When a new employee or user is added to your Wheelbase account, they can follow the steps below to opt-out of receiving those emails (you can also send their name to Wheelbase support and they can do it for you).